Hermès Birkin vs. Kelly: Are You Team Birkin or Team Kelly? When it comes to choosing an Hermès Birkin vs. Kelly, what type are you? What do you like better? Which one best describes you? We tend to lump people into distinct classifications. Whether it’s liberal or conservative, downtown or uptown, Jennifer Aniston or Angelina Jolie, these categorizations are a relatively clear way to distinguish personality types and show outsiders one’s Modus Operandi. In regards to Hermès, shoppers either fall under team Birkin or team Kelly. The Hermès Birkin vs. Kelly standoff has been a heated topic in the Hermès fans community, but let us begin by saying that neither one is better than the other. Both are equally luxurious status symbols. It really boils down preference, function and one’s general vibe. Although the two have a similar trapezoidal shape, the details of their history differs, as well as few key aesthetic details. Each imparts a distinct flair, owning to the notable woman they are named after. Here’s a breakdown to help you decide which team you’re on. Team Kelly lovers include socialites, A-list actresses and royalty. Some of the die-hard Kelly fans include model Miranda Kerr, Beyoncé and Rachel Zoe. This iconic Kelly bag has had a few iterations. When it was first introduced in the late 1800s it was much larger, as it was intended to carry a horse’s saddle. The Kelly was then known as the Haut à Courroies, named so because of its large handles. In the 1930s, a smaller version of the Haut à Courroies was introduced and named Sac à Dépêches. As an actress, Grace Kelly had to portray many different women, and throughout all her different incarnations, Ms. Kelly conducted herself with poise, elegance and unwavering class. It is only fitting that her namesake bag adheres to the same qualities. Along with its trapezoid silhouette, it features one top handle, and a detachable shoulder strap. It also has a straight flap that must be closed when carried. The Kelly bag epitomizes ladylike charm and is perfect for those who aim to embody the same characteristic. 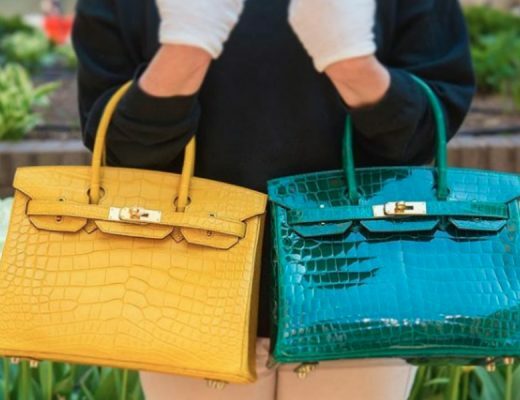 The Birkin bag is perhaps the most popular in the Hermès Birkin vs. Kelly debate, as many have come to consider it The Holy Grail of Handbags. Lovers of the Birkin bag include Victoria Beckham, Olivia Palermo and the Ecclestone sisters. The Birkin bag was created in 1984 by Hermès’ former CEO Jean-Louis Dumas. The story goes that a year before he was sitting on a flight next to actress and singer Jane Birkin. The bohemian beauty was traveling with a straw bag and had all the contents fall out, later expressing to Dumas how it was hard to find a weekend bag large enough to fit all her belongings. Thus, the now iconic Birkin bag was born and named after the woman who inspired it. In essence, the Birkin is a roomy leather tote that features two handles and looks as chic opened as it does with its flap closed. In comparison to the Kelly, it has an increased depth, allowing for items to fit in. It is also much more languid, making it the go-to choice for those with a laidback, downtown (albeit chic) sensibility—much like Jane Birkin herself. So now that you know more about both handbags, let us know in the comments if you are Team Kelly or Team Birkin?